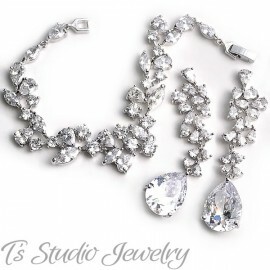 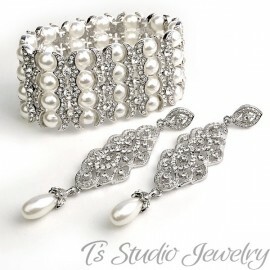 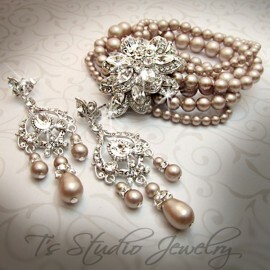 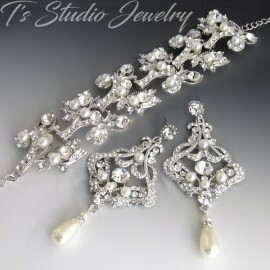 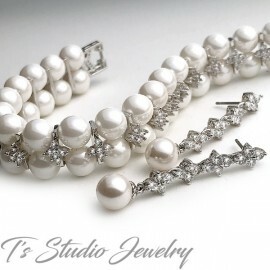 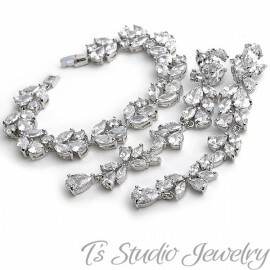 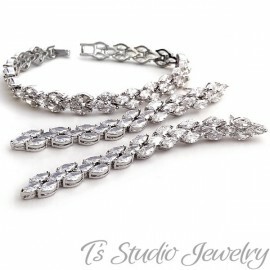 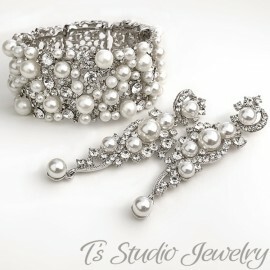 This bracelet will make the perfect accessory for your wedding or special occasion. 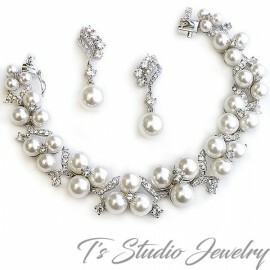 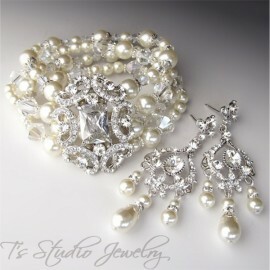 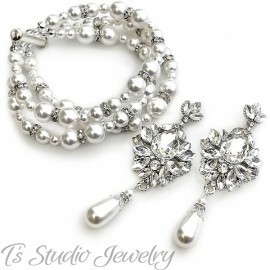 It is a combination of stunning cubic zirconia crystals and round pearls, on a silver base. 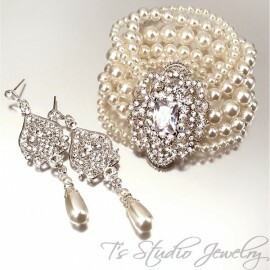 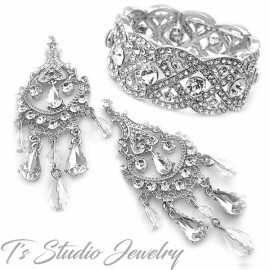 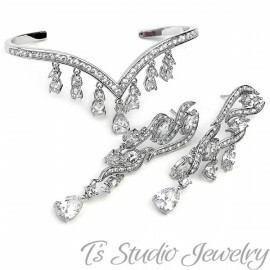 The earrings are made with round pearls, surrounded by several cubic zirconia crystal stones in a circular pattern.